Many things can factor into a fall. Maybe we weren’t watching where we were going, it’s a possibility we were pushed, it could even be that we’re just clumsy. The important part of the falling formula, though, is learning to land with the least amount of damage. In basketball we used to learn how to take a charge safely and securely, how to fight the instinct to catch ourselves and come crashing down on our weak wrists. Resistance 13 is preparing to survive another slightly more serious fall: society. 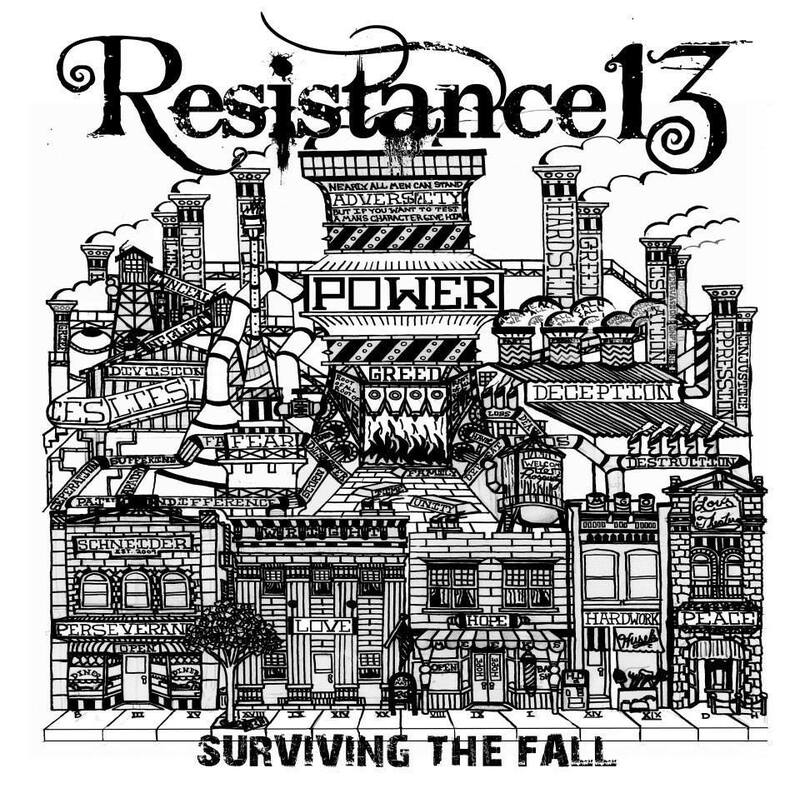 In the fame factory that some bands belong to, Resistance 13 have broken out. They dug a hole through the deception, kicked down the doors of division, and are calling out the corruption that many come from. They’re pissed off that people in power fight with fear and the only option they offer is oppression. Resistance 13 wants to replace the lies with love, they represent those whose hope overpower their hate. They haven’t forgiven or forgotten, and are doing something about the deception. Last time I lavished that Resistance 13 have “a hard-working wisdom and a respectful resiliency and music is the medium they’ve taken to materialize their movement….” That movement is only getting meatier. Jeremy Wright: Vocals, Bryan Schneider: Guitar, Ryan Husek: Guitar, Bryan Meeks: Bass, and Louie Balk- Drums are the inverse of injustice. Outlaws of oppression, these guerrilla guys have forged a fanbase of loyal followers. Resistance 13 hears your hard work and cries for help. They’re the antithesis of abuse, both personal and power. They’re anti-apathy, indignant instead of indifferent. They go against greed and are inclusive instead of isolating. They’re transgressors of truth, flag-bearers for the forgotten, friends of the fallen. If there’s one power they pander to, it’s the power to persevere, to survive the fall, and you can join the resistance at their next show on November 13th at the Agora Ballroom in Cleveland as they open for Smile Empty Soul.